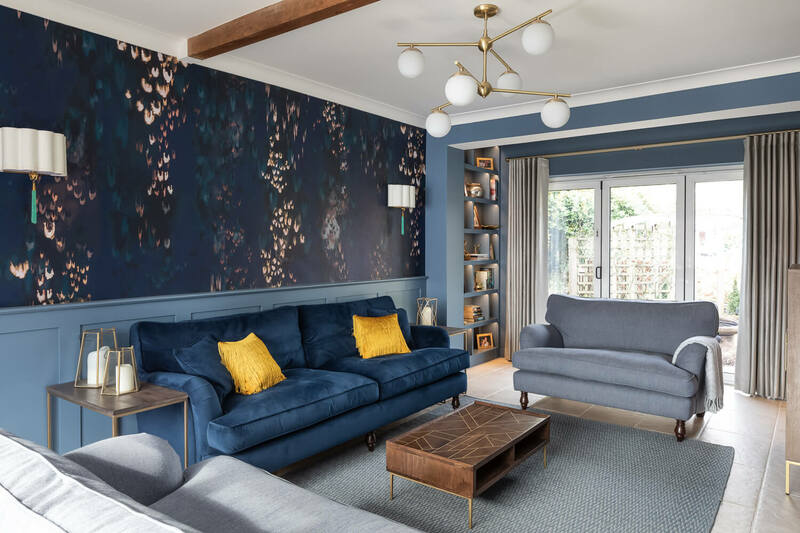 Tom and Heidi wanted a new look for the lounge and one that made it really welcoming and enjoyable to spend time in. 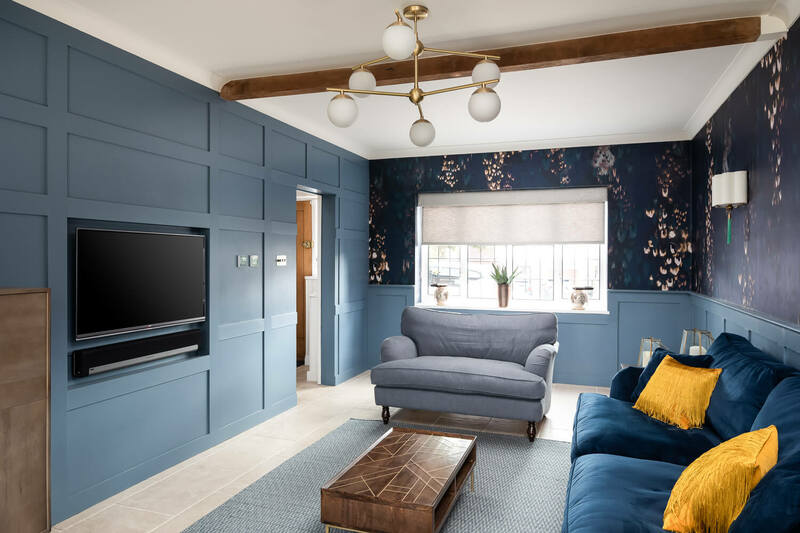 Family and friends came over and often spent time in the kitchen and they wanted to make the most of all the rooms that they have, for a really social space. 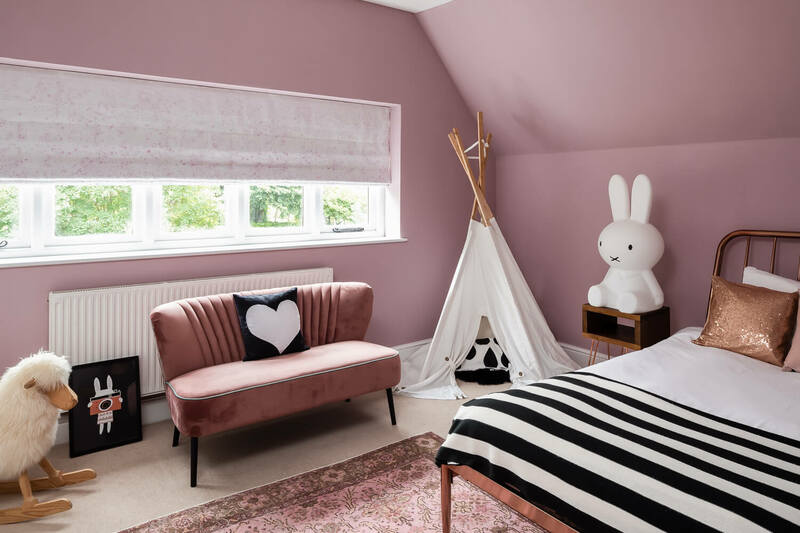 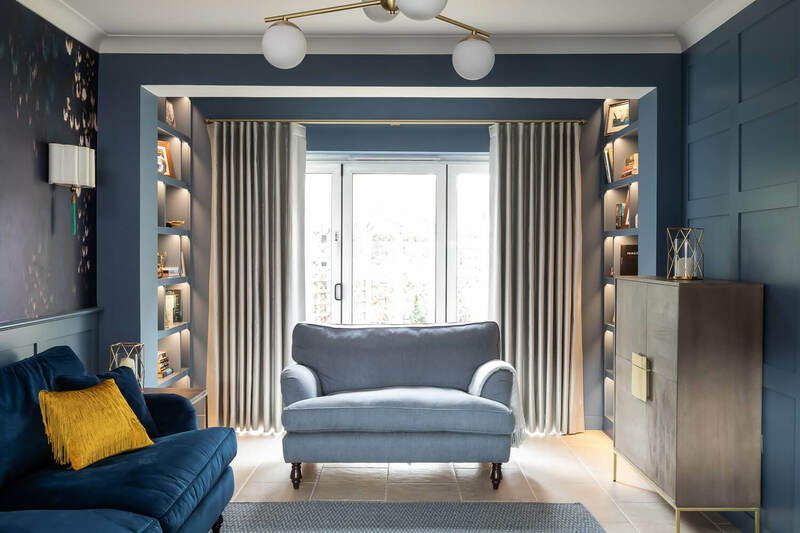 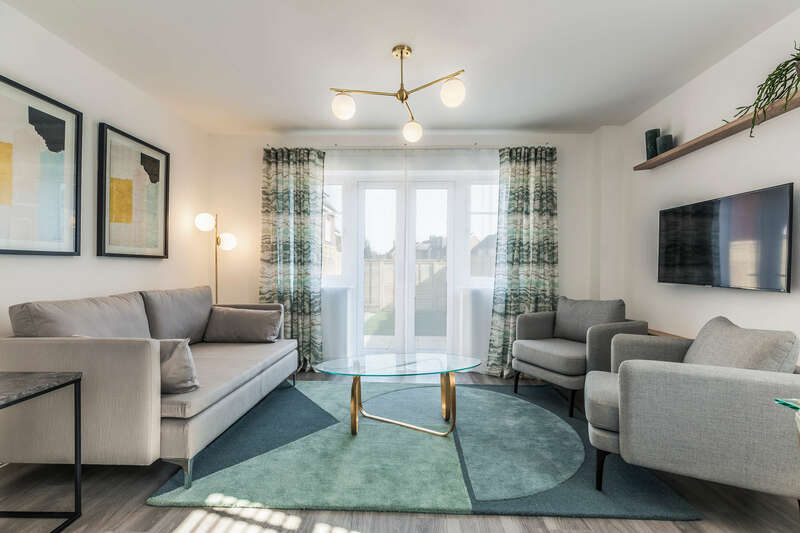 We drew up some layout options for them and the winner involved switching the whole layout of the lounge around – so the lounge space opens up as you walked in the room and links seamlessly on from the hallway. 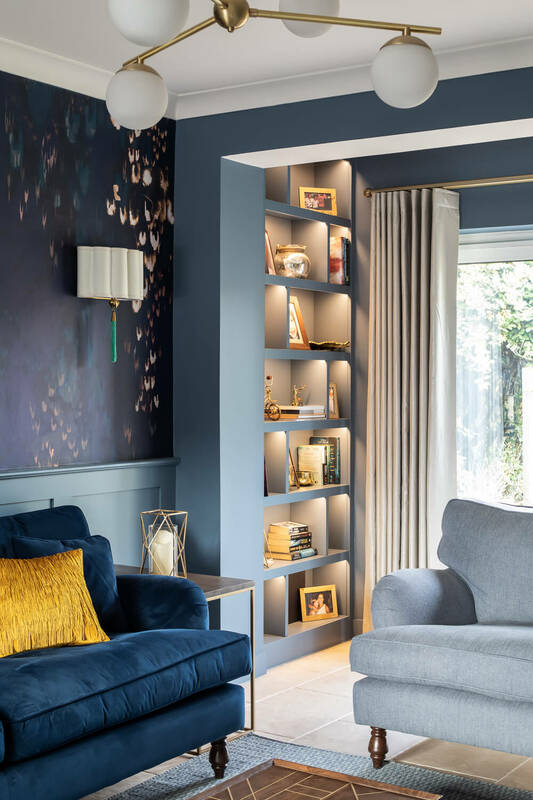 The old chimney breast was removed, electrics re positioned, underfloor heating and tiled floor installed and then new bespoke wall paneling and bookcases to make a super cosy space. 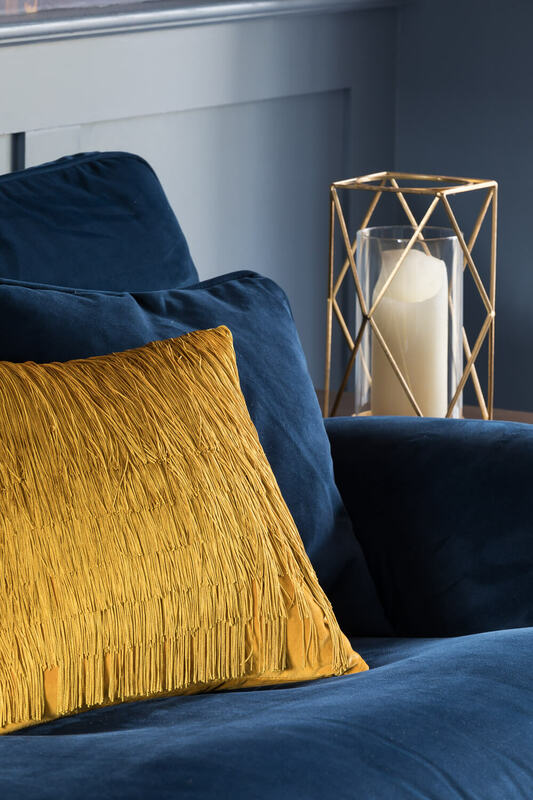 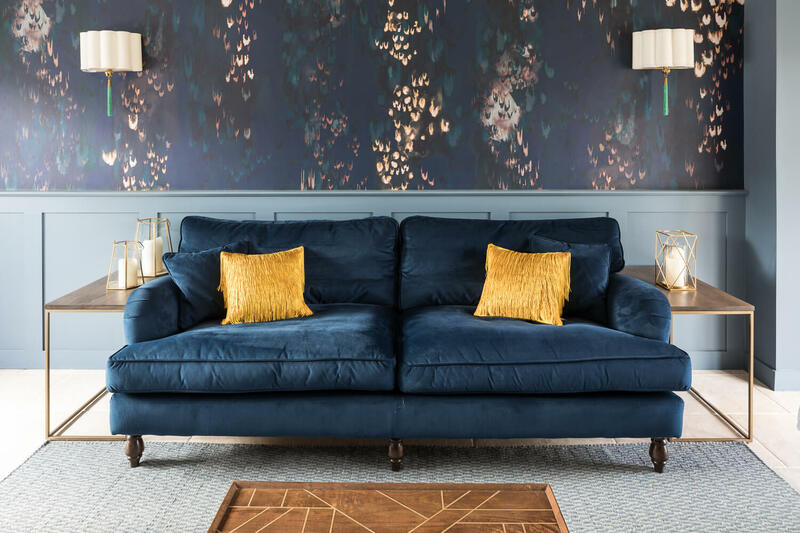 The deep blue walls are accented with hints of gold to bring a really luxe look to the space and a big squishy stain proof velvet sofa for tons of warmth – perfect for parties and cosy nights in.